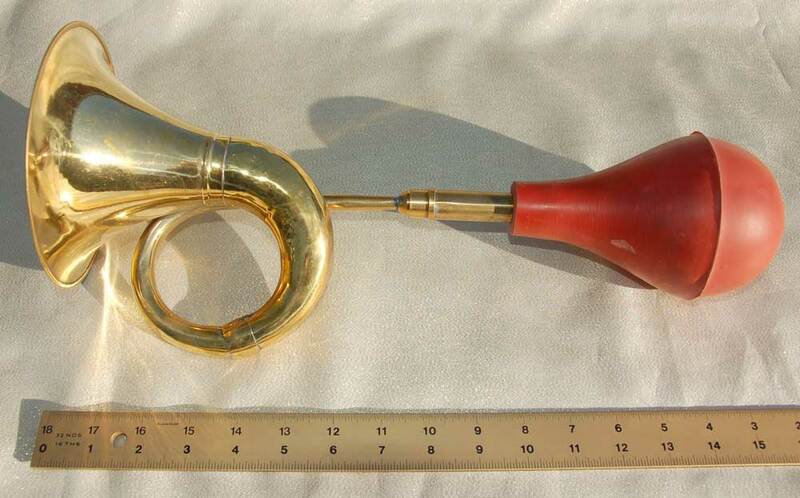 16 Inch Big Bell Brass Squeeze Horn Red Bulb Click photo for larger image. The largest bell of any of our squeeze horns. A real honker. 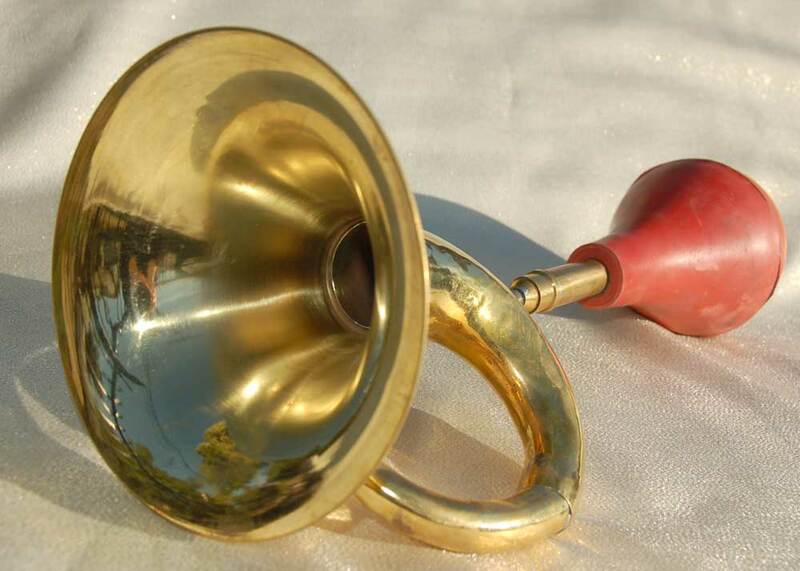 Big Bell Squeeze Horn Red Bulb $44. Free US Shipping. Includes 1 attaching bracket. More soon. When you see the Buy Now button they’re back!